Pakistani actor Fawad Khan has won Best Debut Male award at the 60th India Filmfare awards, and has become the first Pakistani actor who has won this prestigious award. He was nominated for Best Debut male category on performing a leading role in Indian movie Khobsurat with famous actress Sonam Kapoor. On receiving award and thanked to Sonam Kapoor his co-star, Anil Kapoor, Film producer Rhea Kapoor and all team of Khobsurat for their support and appreciation. In the other nomination on Best Debut Male category Tahir Raj Bhasin, Tiger Shroff, Sharib Hashmi and Freday Daruwala were included for working in Mardaani, Hero panti, Filmistan and Holiday respectively. Sonam Kapoor and Jataleka Malhotra presented him this award. 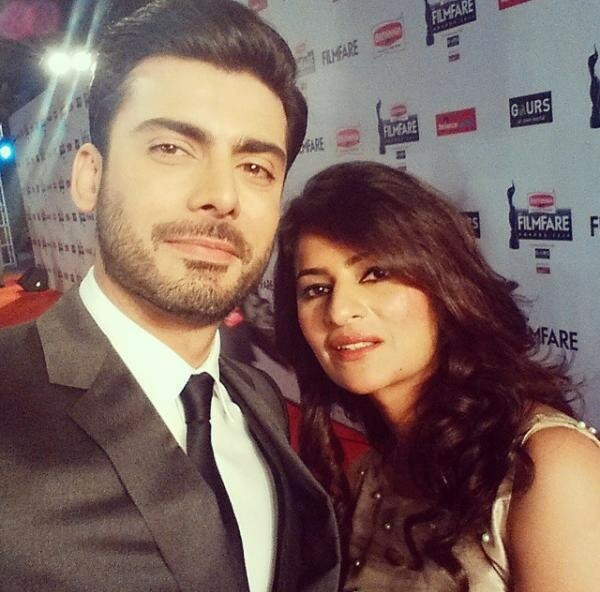 On the event his wife Sadaf Fawad was also accompanying with him and both were looking stunning on the award ceremony. In his message to his fans he thanked all Pakistani and Indian fans, and said you guys are the instrument of my success. While hundreds of his fans congratulated him on his success and wished him on social media. In best Band Music Category, Pakistani band Soch was nominated but it failed to win the award. In Pakistani singers Nusrat Fateh Ali Khan and Nazia Hassan had won this award but Fawad Khan is first Pakistani actor who has picked this award. Fawad Khan has large fan following in both India and Pakistan and had won several awards for performing in dramas and movies. LUX Style award, Masala Award and Fresh face of the year are some eminent awards he has recently won.